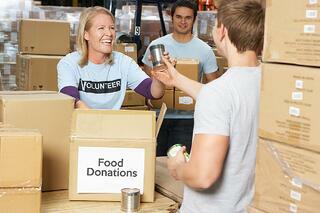 In the world of nonprofit corporations, much of the focus is on charitable organizations. Charities pose many unique and recurring questions, especially as they relate to fundraising and required state compliance requirements. Here, we address those most frequently asked, along with links to past blog posts and an embedded podcast from Through the Noise, where we discuss the fact that nonprofits receive an extra dose of regulatory compliance when they are fundraising across state lines. 1. When must charities register to solicit charitable donations? In most states, barring an applicable exemption, of which there are many, most charities must register to solicit charitable donations when they are directing fundraising solicitations to individuals, corporations or foundations within a state. California is an exception in that it allows for a 30-day grace period from the time that charitable assets are first received by a charity from donors in the state. Are you soliciting in a state that requires charitable solicitation registration? 2. Where do charities have to register? Most states require registration if a charity is directing solicitations to anyone in their state, regardless of where the charity is located or the method of solicitation. All but the following 9 states require registration: Delaware, Idaho, Indiana, Iowa, Montana, Nebraska, South Dakota, Vermont and Wyoming. Arizona requires veterans organizations to register; Louisiana only requires registration if professional fundraisers are used to solicit in the state; Missouri exempts 501c3 organizations; and Texas requires registration by law enforcement, public safety and veterans organizations. Sometimes the registration process is accomplished through a licensing or consumer protection office, while most states handle this compliance requirement at the Secretary of State’s Office or at the Office of the Attorney General. (See blog post Which States Require Charitable Solicitation Registration for Nonprofits? and our List of State Charity Regulators.) Just because your charity is in a state that doesn’t require registration doesn’t mean you are free of charitable registration when you raise funds across state lines. 3. Who is required to register? With the exception of religious organizations that are not required to file any version of the IRS Form 990, most charities that are soliciting in multiple states must register. There are broad exemptions in many states for small organizations that raise less than $25,000 per year, and the same is true for educational institutions, hospitals, and political or membership organizations. However, there are frequently exceptions to the exemptions, and many states require an application or request for exemption. If an exemption is not applicable, and you are fundraising in a state that requires registration, solicit in multiple states or receive donations online, your nonprofit organization is required to register to solicit charitable donations. Also, depending on other activities, your organization might also need to register to conduct business in multiple states. 4. How do we know if our charity needs to be qualified in a given state? Only Washington D.C. and North Dakota require that a charity be qualified as an entity prior to being registered to solicit charitable donations. However, not being required to qualify in order to register as a charity does not preclude a nonprofit from needing to qualify in other states in order to conduct its business affairs. Each state will have its own requirements for what constitutes doing business in its jurisdiction. In California, Colorado, and Oregon, charitable solicitation across state lines is considered “conducting business,” and therefore requires registration as a corporation in these states. 5. Does our charity need a registered agent in every state in which it is registered for charitable solicitation? 6. Does a “Donate Now” button on our website require that we register as a charity? 7. What are the registration consequences when a charity hires a professional fundraiser? 8. Are there ongoing filing requirements? 9. When should a charity file an extension for its IRS Form 990 filing, even if it plans to file on time? 10. What are the requirements for charitable solicitation in D.C.? What’s new in Nevada? Obtaining a charitable solicitation license in D.C. is no easy task, exacerbated by inaccurate information posted to sources that are expected to be reliable. Be advised that there are several prerequisite items required for filing along with the Basic Business License form “BBL-EZ.” All the necessary and correct information for navigating the process can be found in this previous blog post: The Challenge of Obtaining a Charitable Solicitation License in Washington, D.C.
Nevada does not have a charitable solicitation statute, but its corporate law was amended to require charitable solicitation registration with the Nevada Secretary of State’s office by nonprofits before soliciting tax-deductible charitable contributions from a location within the state or solicitations from persons or corporations in Nevada. The new law was effective on October 1, 2015, but the state’s registration form, website and instructions, until recently, did not comply with the amended law or the actual requirements mandated by it. For additional information, please post a question or comment here or contact the author directly (Ron Barrett, rbarrett@cogencyglobal.com or 202-370-4755).